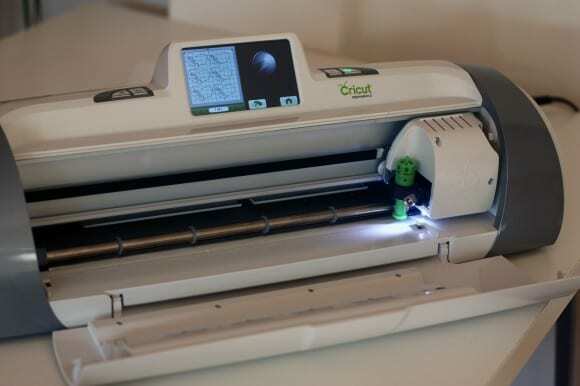 I've been talking with the people at Cricut about doing a giveaway with us. (I know, pretty cool.) Well, the giveaway is coming soon, but in the meantime, they sent me a Cricut Expression 2 to try out for myself. Let me preface this by saying I'm a total beginner and I don't even have any Cricut cartridges yet. 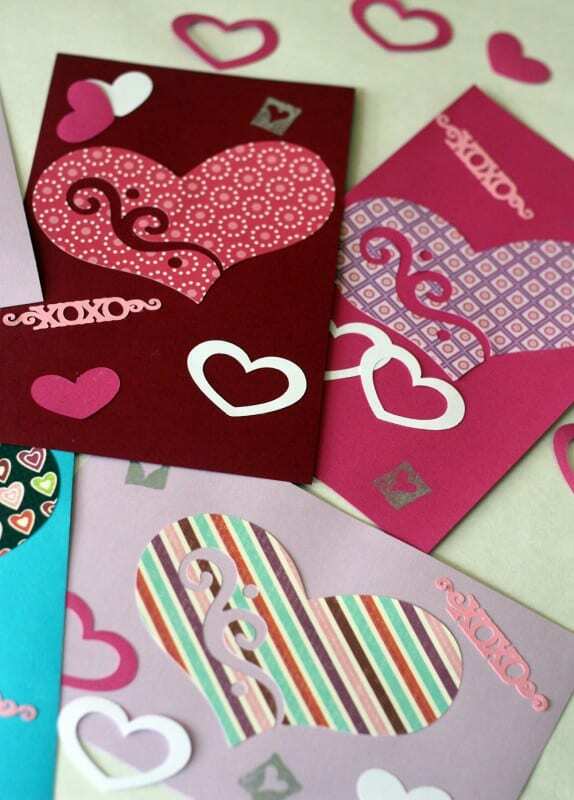 But I needed to get crafty because at my daughter's preschool, the rule is that the valentines need to be homemade and the kids need to help. 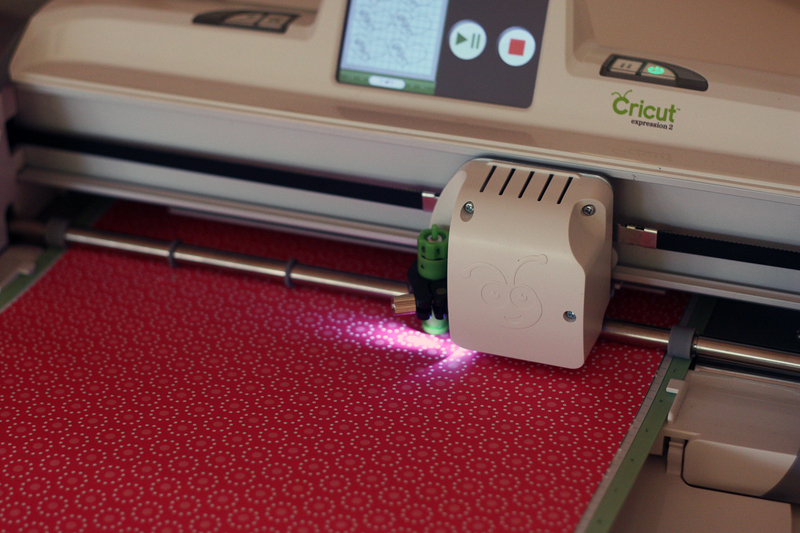 So, what better way to make homemade valentines than with my new Cricut? 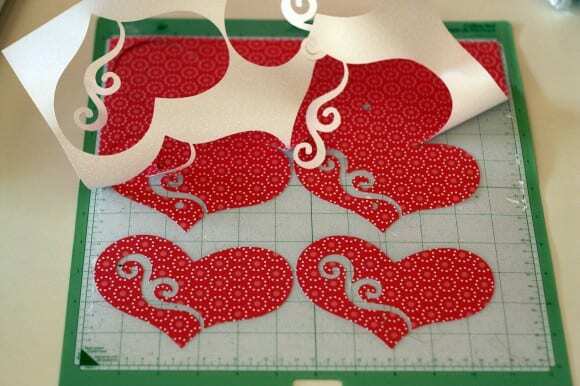 I can't tell you how much fun I had cutting out these hearts. I used a couple of the designs that come with the Cricut, and my daughter helped glue them on. Then we hand-stamped some extra hearts using silver ink. My daughter was sick all weekend so this was the perfect project to keep us busy. Here's the machine in action, cutting out the big hearts. I used scrapbooking paper and cardstock, both bought at Jo-Ann's. The coolest part... removing the designs from the sticky cutting mat. 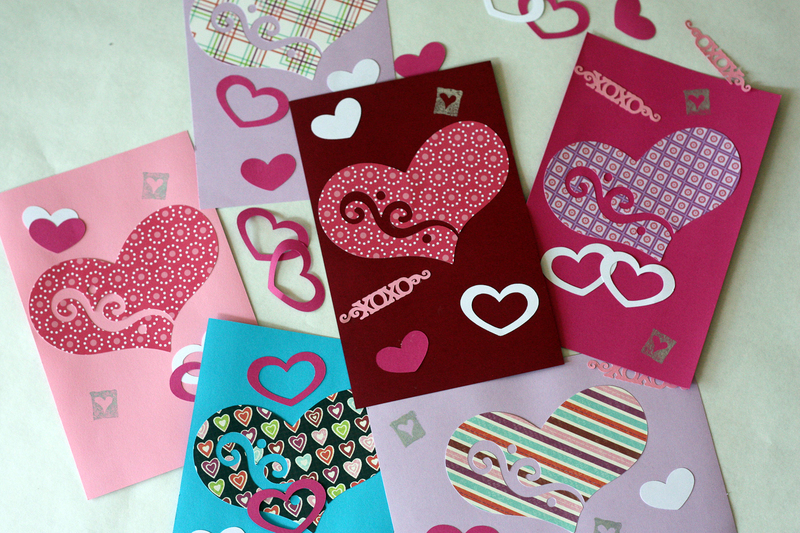 And now we've got 28 homemade valentines! My daughter is hand signing them all on the back. I will be posting about my other Cricut projects, and the more I learn, the more I'll share, but I just wanted to give you an idea of what I've been up to this weekend (besides feeding my daughter lots of Tylenol and watching Barbie movies). Hi Jillian, Your cards are adorable! The Cricut is so much fun to craft with! Love these cards. I wish I would've stopped by for ideas when I was making mine. I'm sure my mom hopes I get mine own CE2 soon. I'm always asking her to make stuff for me.